Last night, CBS News’ “60 Minutes” did a story on the soon-to-be-opened (in June) Holocaust archives in Bad Arolsen, Germany. The archives store 50 million pages of records kept by the Nazis on the fate of the millions of Holocaust victims–6 million Jewish and 5 million non-Jewish murdered innocents and countless others who survived. I watched the segment and have a few comments. 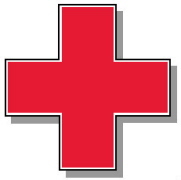 First, there’s the issue that the archives are housed and operated by the International Committee for the Red Cross. That’s something of a perversion, an abomination. This is the same Red Cross that gave the AOK for everything the Nazis were doing to these people. The same Red Cross that didn’t just idly stand by for the Holocaust, but was a full accessory to it–covering it up and helping it go on. Most of my family on both my mother’s and father’s sides was wiped out by the Nazis. That the Red Cross now guards the records of how they were slaughtered is dusgusting. They are turning over in their graves. Then, there is the issue of how the Red Cross is “maintaining” those records. My mother sent them a request, so that she could obtain the records on my late grandfather, her father, Isaac. The Red Cross wrote back to her that it was too busy to do so. Too busy? Too busy helping HAMAS and Hezbollah? Too busy preparing its ambulances as the personal limos of the “martyrs”? Too busy, indeed. I noted that a couple of camps which housed my grandfather were mentioned. There was Bergen Belsen Concentration Camp, where Anne Frank was murdered. My grandfather was liberated from there. That’s where he met my grandmother. It’s where, as a displaced persons camp, my mother was born and lived until she was three and came to America. Also mentioned was Dora. My brave, tough grandfather was sent there after almost starving to death in Nordhausen Concentration Camp. At Dora Concentration Camp, he was forced to work on the V2 rockets. I would love to see these records of what happened to the various members of both my parents families, who mostly–unlike my grandfather–perished in the camps. I’d read them with interest. Debbie YOU SILLY JEWESS—don’t you KNOW that the “holocaust” is part of that liberal Jew-media conspiracy out to discredit “our” final solution to the Arab/Islamo-fascist problem??? Suspicious timing given the Iranian conference on Holocaust denial. If the center’s goal was to wait until nearly everyone died or was too old to fight them, then they have succeeded to some degree. I don’t see anyone out there sticking up for the Japanese concentration camp victims, except a few Jewish law firms. AGREED THAT THEY WAITED WAY TOO LONG, AND I ALSO AGREE ON THE PROBABLE REASONS–LAWSUITS, ETC. REGARDING YOUR SECOND PARAGRAPH, CALLING THE JAPANESE INTERNMENT FACILITIES “CONCENTRATION CAMPS” IS ABSURD. GO TO AUSCHWITZ AND THEN TELL ME THE JAPANESE EXPERIENCED THE SAME THING. WE DIDN’T GAS THEM OR DO ANY OF THESE THINGS TO THEM THAT THE NAZIS DID TO THE 6 MILLION JEWS AND 5 MILLION OTHERS. NOT SURE WHY YOU EVEN MENTION THE JAPANESE HERE. COMPLETELY IRRELEVANT. I missed the 60 minutes program. Every time I read about what your actual family endured, it really upsets me. I am glad you realize that we have to speak out against the purveyors of hatered now while we still can. One thing you don’t address–could you please? Are these records accurate to show the millions murdered name by name? Re the Red Cross–I have to begin processing what you say here–it is really astounding that historically they have been so anti-Jewish. Like United Way, the Red Cross has become populated by incompetence, corruption, and U.N.-type bureacrats with an agenda. I no longer contribute to either organization. This is Devorah Goldburg from the American Red Cross. Thank you for the chance to respond to a couple of points from this post. There is no doubt that the holocaust was an atrocious event in history, but some of the issues Debbie has raised are quite misleading and I am hoping to provide some additional and accurate information. The American Red Cross Holocaust and War Victims Tracing Center provides tracing services but not original records to clients. 2. Since 1990 when the American Red Cross Holocaust and War Victims Tracing Center was established, it has had FULL access to the archives housed in Arolsen, Germany and to this day continues to successfully provide tracing services to survivors and their families. A resource of hope, the Red Cross Holocaust Tracing Center has responded to 40,000 requests worldwide for information, and in 1,200 miraculous cases, reconnected loved ones. 4.The American Red Cross is proud of its role leading up to this past June when Magen David Adom (MDA), the Israeli equivalent of the Red Cross, became a full voting member of the International Red Cross and Red Crescent Movement. 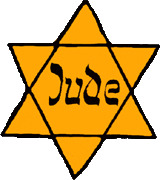 MDA is allowed to use the Star of David within Israel. I don’t know what you are talking about, viturally nothing that happened in the Nazi concentration camps did not also happen in the Japanese run concentration camps. As Japan was an Axis power who exterminated men, women and children, I do see the relevance. Prisoners of the Japanese were never allowed to seek reparations and who is pursuing camp guards from their “facilities”? I don’t know what you are talking about, viturally nothing that happened in the Nazi concentration camps did not also happen in the Japanese run concentration camps. Japan raped, massacred, forced women to become prostitutes for their soldiers, enslaved and worked slaves to death in China, Southeast Asia, the Philippines. They did not commit genocide; they were not dedicated to wiping the Chinese or the Vietnamese off the face of the earth. Other than that, good point.